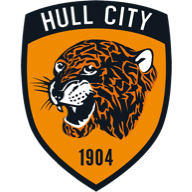 Rampant Hull made it three wins from three home games with a stunning first half demolition of Millwall in a 4-1 win at the KC Stadium. The Tigers mauled the Lions with four goals before the interval from Robert Koren, Jay Simpson, Abdoulaye Faye and Sone Aluko. Darius Henderson grabbed a consolation for Millwall in the second half, but they were second best all afternoon as Hull leapt up to fourth in the Championship. And it could have been worse for the visitors but for some fine saves from Maik Taylor. The veteran goalkeeper was busy from the first whistle, holding onto Ahmed Elmohamady's drive and making a superb stop to deny Koren. But Taylor could do nothing when Koren picked the ball up 25 yards out in the 14th minute and unleashed a fierce drive which flew into the top corner. Simpson, who has had two successful spells on loan with Millwall, tried his luck from a similar range moments later but his effort flew wide. But the striker made no mistake in the 32nd minute when he latched onto Stephen Quinn's deep cross, peeled off right-back Karleigh Osborne and tucked the ball coolly past Taylor and into the net. The Tigers were three up four minutes later after James Chester raced down the left and stood up an inviting cross which left former West Ham defender Faye with a simple header. And it was four five minutes before half-time when referee James Adcock played a good advantage after Lions skipper Paul Robinson upended Simpson, and ex-Rangers forward Aluko raced through to beat the shellshocked Taylor. It could have been five before the interval but Taylor did well to keep out a shot from Quinn, getting a hand to his initial drive and keeping the ball from crossing the line at the second attempt. After the break Taylor saved Millwall again, tipping a fierce drive from Elmohamady onto the crossbar. 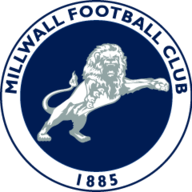 The 41-year-old also held efforts from Aluko and Simpson before Millwall finally got on the scoresheet with virtually their first effort on goal. In the 63rd minute substitute Alan Dunne crossed from the right and Henderson headed the ball back across Ben Amos and into the net. Faye could have had a second but headed Koren's corner too high before Taylor was back in action again, saving from Aluko after Millwall's ragged defence parted once again.